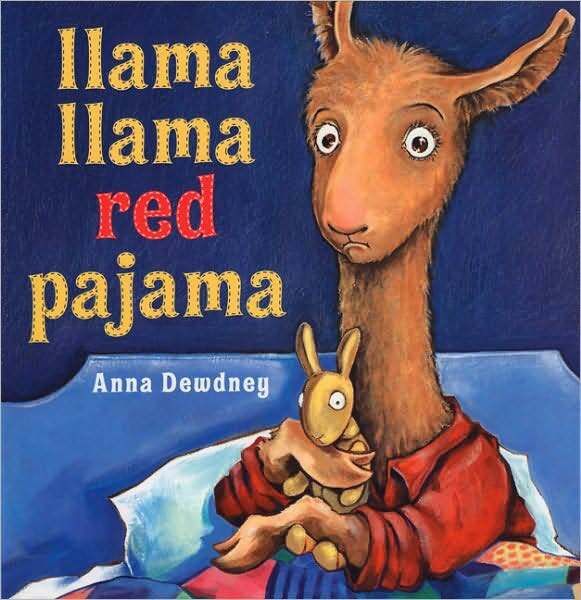 Last week I asked for recommendations for picture books with excellent writing (read: non-annoying when read aloud 2,763 times per day, every day). 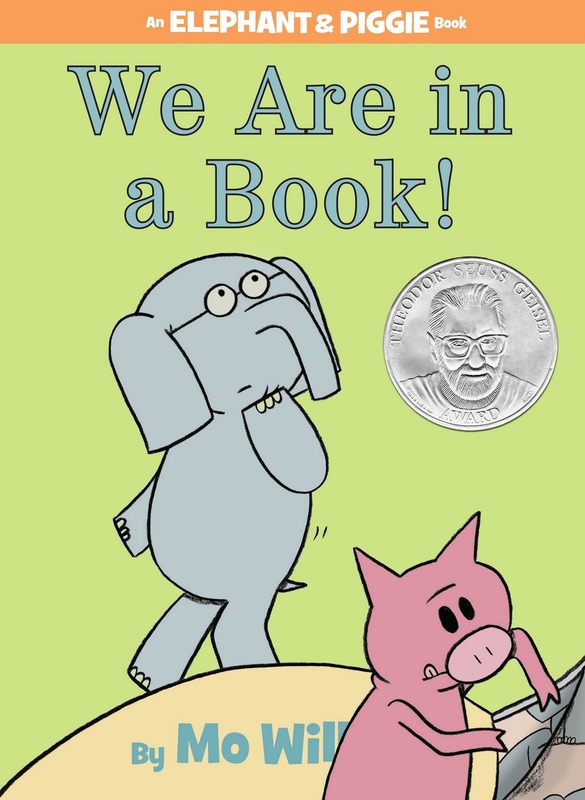 I started by asking about the Caldecott (which is an award for picture books, but actually for illustration of said picture books). And then just for recommendations. And they rolled in. I had a couple being pulled for me at the library, so I had to go pick them up. While I was there, I browsed, with my head full of titles and authors I’d been hearing about (and looking up) all week. I came home with a big stack, and we’ve been reading them all weekend. Here’s the low down. 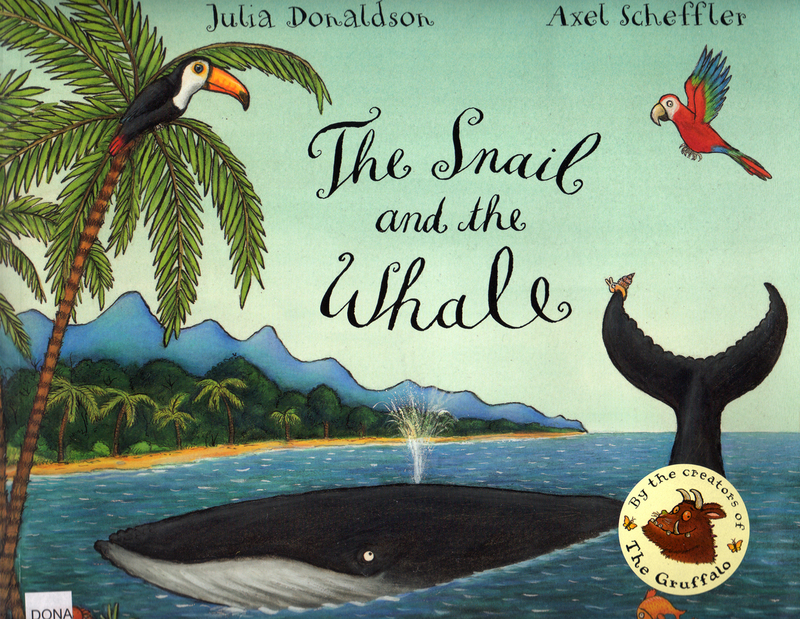 A good transitional book, on the way up from board books. Very few words. Nice graphic illustrations. Bold colors. Although it’s been eclipsed the past two days by the newest train book to enter the house (which I’ll hopefully get around to telling you about reasonably soon). 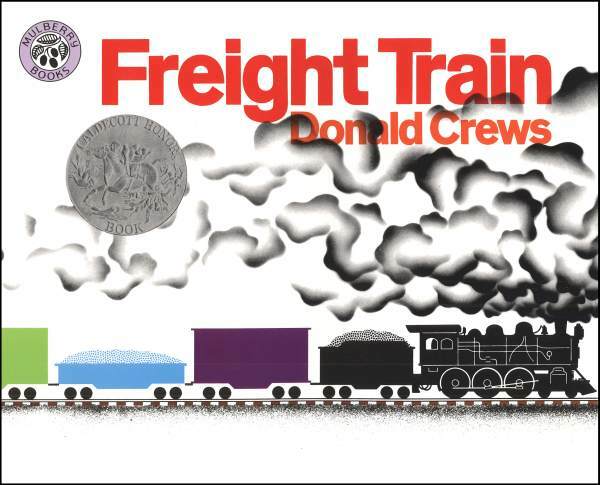 I picked this one up because A’s already familiar with this character from a few board books. I think we’ve only read it once so far. I’ve heard so many great things about Willems’s books. This one for sure didn’t disappoint. Again, very few words. Images are black and white photographs overlaid with cartoonish people. 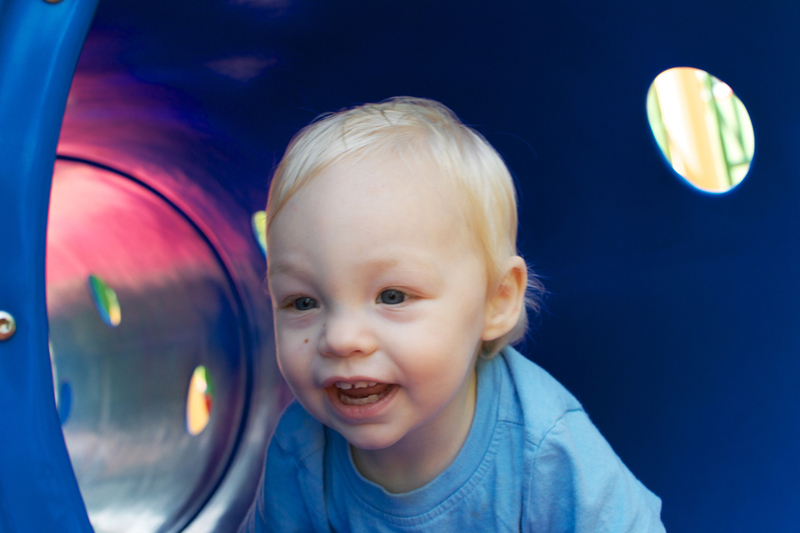 My guy laughs at the baby talk [not someone talking to a baby in what is usually called baby talk, but the verbalizations of a pre-talking kiddo]. I laughed and laughed on the first read-through. A very self-aware book. The illustrations are straightforward and clear. I think it might (the humor at least) be a bit over my kiddo’s head, though. The rhyme and rhythm are fantastic, the story is grand. More words per page than A’s used to, but he’s bringing it to me repeatedly. Really a beautiful book. So much to see on every page, too. 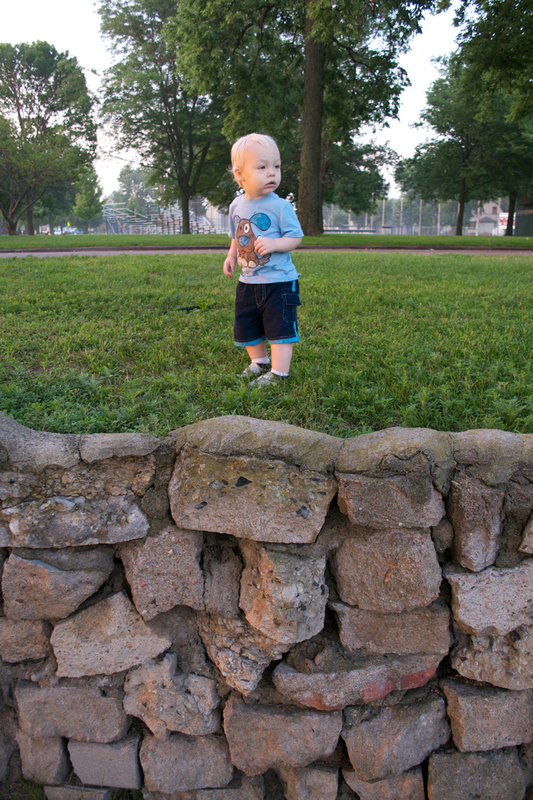 Not annoying, but not particularly enchanting to this mama or toddler, either. I don’t think, when we’ve read this one, that A has ever asked to read it again right away once yet. 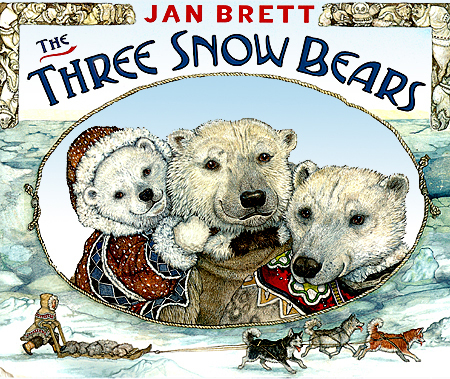 Lots of people highly recommended Jan Brett’s books. I’m not sure I understand the fandom, though (at least not yet). This is the story of Goldilocks and the Three Bears, except Goldilocks is now Aloo-ki, who lives in an igloo, and the bears are now polar bears. Quite simplistic. A likes the squirrel and the dog, though. 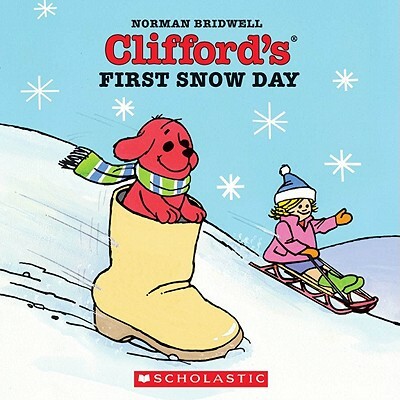 One of those books that don’t have much of a plot. Very few words per page, and a short page count, too. Not annoying, though. Enchanting. 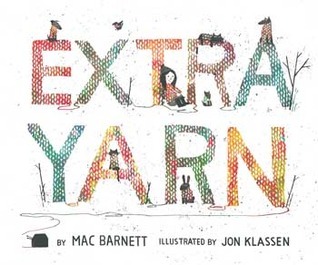 The narrative doesn’t have the rhyme and meter some of the others do, but the story is sweet and illustrations are adorable (especially if you’re a yarn lover, but even if you’re not). Have you read any of these? What did you think? Do you have any (more) recommendations for us? Books can be hard to talk about. And children’s books — especially ones with less than 20 pages — can be particularly tough, at least for me, so far. But I think I found a way to make this work. I finally started taking A to the library. And when you go once, there’s a pretty strong pull to go back — the books have to be returned at some point, and the drive through drop box seems almost cruel when there’s so much fun to be had inside (there’s some seriously great play areas set up, let alone all the books). I brought home a stack of books this week, as you do. Seven books last time, nine this time. Most I considered quickly but somewhat carefully, and a few I added to the pile after A pulled them off the shelves. Some books I like, but he either doesn’t get or doesn’t have the patience for, or something. And others he insistently brings me over and over, but they make me want to gouge my eyes out. You know how it is. 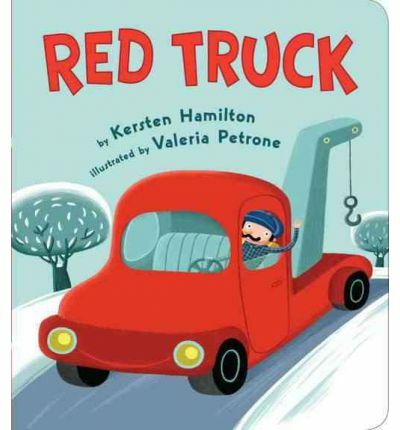 Red Truck by Kersten Hamilton, illustrated by Valeria Petrone (2008, Viking Penguin, board book) is a delightful book. • Pointing at all the trucks and making truck sounds. • Also the “Vrooom,” “Sploosh,” and “Zoom” exclamations usually elicit big smiles. • The writing is clear and engaging, the perfect balance of fun and educational, no wording is awkward or annoying. There are rhymes, but it’s not over the top. There are just the right amount of words, too. I never have to read/recite at break-neck speeds to get all the words in before he turns the page. 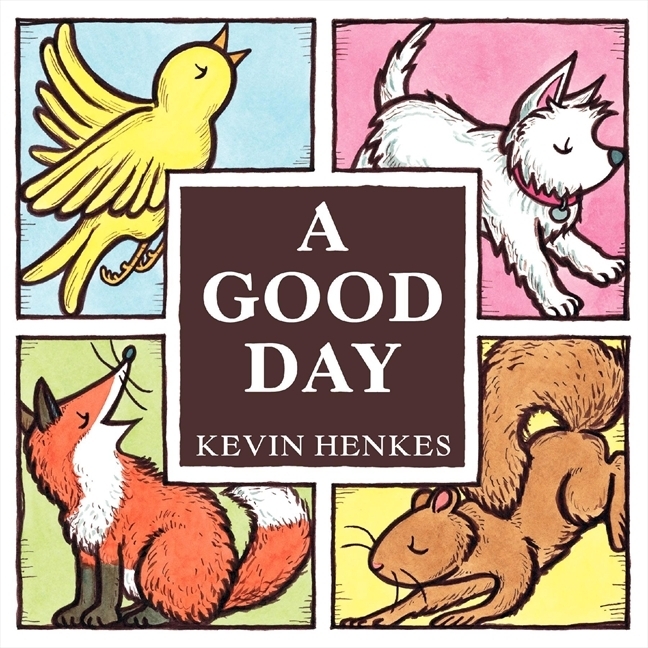 • The illustrations are whimsical and clear, cheerful. The background recedes and yet remains fun. The colors are bright and mostly primary without being overtly so. The tow truck driver looks enough like a cross between Mario and Luigi to make me smile but still unique enough to be his own character. Maybe it’s just the perfect timing in terms of his attention span and vehicle fascination, but this book certainly hits the spot. I’ve enjoyed Hamilton’s YA books in the past (Tyger Tyger (my review) and In the Forests of the Night — ooh, looks like book 3 of that Goblin Wars series is out this week: When the Stars Threw Down Their Spears) and I’ll definitely be looking for more of her children’s books now too. 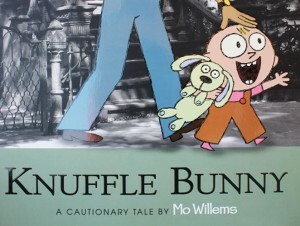 For more on children’s books this week, check out Booking Mama’s Kid Konnection. His hair is the color of corn silk. So soft and shiny, and with colors ranging from white to gold to strawberry. And he has a lot of it. It’s getting long in back, but it’s still not nearly covering his forehead. He has his daddy’s widow’s peak. He understands so much of what we say! It’s awesome watching him act on what I’ve said and begin to communicate in ways I can understand, too. He says Dad, dog, water, food, yeah, and book (and also the EC form of pee/potty), and there/that/this (and maybe Up?). He signs all of those (except potty) plus please, cat, milk, all done, and bed / lay down. He also waves goodbye. When asked for a kiss, he’ll lean in to *be kissed* on the forehead. He also leans in to be hugged. He gets very excited when he sees an animal (including a high-pitched squeal), but he often signs the wrong cat/dog for what he’s seeing (sometimes he even signs cat for Maisie) and basically every kind of animal will be in one of these categories (the bear in We’re Going on a Bear Hunt is usually a dog, for example, and a gosling in some other book was a cat, I believe, as was the daddy long legs in The Fathers Are Coming Home). He’s started to act out the books as I read them to him, sometimes — in Old Bear he did the climbing on each other and the jumping on the bed. In Llama Llama Hoppity-Hop he’s done several of the actions (clap, thump (which is really stomp), stretch, and he mimes jumping). When I say it’s time to change his diaper, he usually heads to the nursery to get it done, and he’ll go to his high chair when he’s hungry or when I tell him it’s time for lunch. For the past few weeks he’s been insisting on being read to CONSTANTLY. The same book over and over, but also tons of different books. Even with a trip to the library and a few newly purchased books, I feel like my brain is melting. And not just from all the repetitious reading, but also because this means he’s requiring my attention basically ALL DAY, rather than happily playing by himself for quite a chunk of the day. He especially wants to be read to while nursing. And I’ve spent 20 minutes of him on the potty chair reading. He does pretty good with book handling these days — at least he’s not chewing on them or ripping the pages. We still mostly read board books, though. He does still get them bent backward at the spine or creased in cover or page. 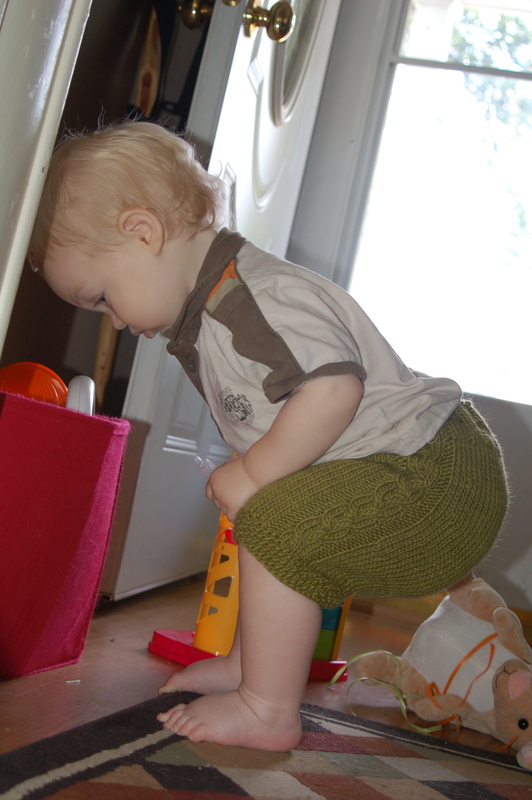 He has successfully told me he needed to use the potty chair *and then actually gone* twice, once #2 and once #1. He asks other times, but we’re not catching anything those times (either we’re too slow or he’s telling us after he’s already gone or asking is just a ploy to get more concentrated reading time). He was diagnosed with seasonal allergies last week. And he’s been working on his 2-year molars for more than a month now — although they’re still a long ways from coming in, as far as I can tell. Otherwise, he’s only lacking one eye tooth. He still nurses at lot, although we’ve night weaned (so he doesn’t breastfeed once we’ve gone to sleep until ~6 a.m.). He opened the lever door at the chiropractor’s office (handle there lower than the one at home). When he has keys, he uses them at a closed door to try to open it (doesn’t get it in the keyhole yet). He’s definitely begun asserting his independence/will and will shove things/people out of his way and scream (to the extent of folded in half, face on the floor) when he doesn’t get his way. He’s discovered a love for dipping his food. He usually cries when Daddy leaves for work. He has a few different car/truck noises, including vvvvvvvvvvv and ththththththththththththth. I’m pretty sure he also has some kind of barking noise, but it’s not completely clear yet. I finished my first Henning Mankell book a day or two ago (A Treacherous Paradise), and I’m still not sure what I think or feel about it. Has anyone else read it (and/or other work of his)? I’d love to chat about it! I might be starting a book club soon. Where do I start? I’ve never done this before, so any and all help is greatly appreciated. A is lately ignoring his toys all day every day (with very few exceptions) and instead insisting on being read to NONSTOP. We bought some more books, we went to the library and borrowed some new books, and the variety is a small improvement, but … my brain feels like it is melting. 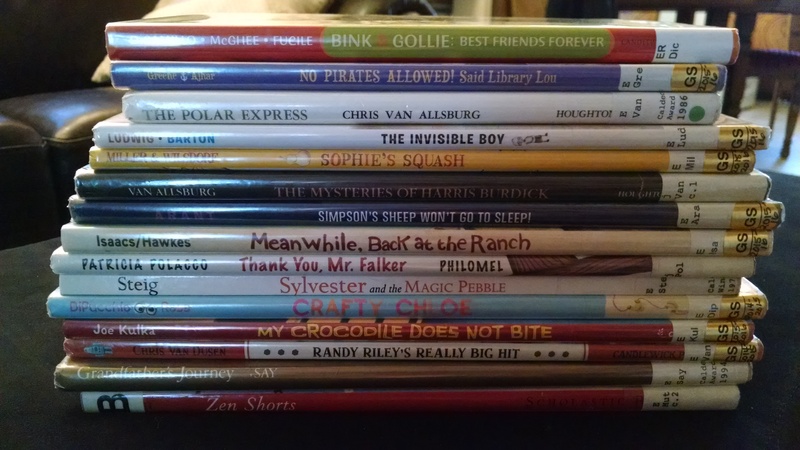 I don’t think it’s completely true that, at least in this situation, having good, new books will cure my read-aloud woes, as Julie Danielson claims at Kirkus. But, if you have some recommendations for me, I’ll take ’em. (He’s 15 months. We regularly make it all the way through We’re Going on a Bear Hunt — sometimes even 10 times in a row — but Mike Mulligan and His Steam Shovel is usually too long, although he does like it.) Is he too young to appreciate I Spy books? Some day I really do think I’ll get around to writing and posting reviews, or at least mini reviews or thoughts of some kind on the books I’ve been reading. But that day is apparently not today. Available free on Project Gutenberg. At the Back of the North Wind centers around a young boy, Diamond, and his interactions (and adventures) with the North Wind, who, when she’s with Diamond, generally takes the form of a beautiful woman (with extremely long hair). Set in Victorian London, this is an enchanting children’s story (great bedtime reading!). Ideas MacDonald addresses in this book: social justice, death, love and forgiveness. This was not a fast read. Part of that, surely, is the fault of the crummy edition I bought (see note below), but it’s content-rich. A charming tale. Note: The edition of this book matters. I purchased a very inexpensive edition (I knew what I was likely getting myself into, but chose that anyway.) and the words are crammed into the book. Plus: It was poorly proofread. The version I linked to above is the one I *wanted* to buy. Some editions are illustrated, which could be cool. George MacDonald (1824-1905) was a Scottish author, poet and pastor. He’s said to have influenced many great authors, including J.R.R. Tolkien, C.S. Lewis and Madeleine L’Engle.